This small natural, ecological wood diffuser sourced from sustainable plantation timber, you can place or stick anywhere i.e. car, cupboards, office, bathroom, etc. 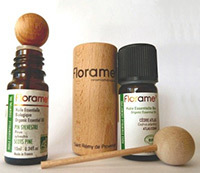 The Essential Oil rises by capillary action into the wooden ball, which diffuses the fragrances around it. These unique and effective diffusers will fill your home with 100% Organic Oils all derived from Nature. 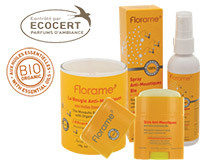 Please use the Contact form on the right for Wood Diffuser with Florame Essential Oils information and ordering.